The Close Project dialog allows you to close the current project loaded in GCD. 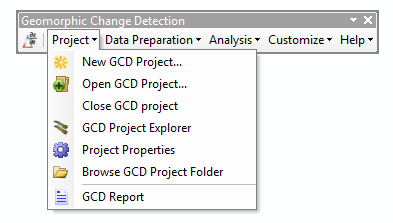 This is helpful if you want to clear the GCD Project Explorer. Note that closing the current ArcMap map document will also automatically close the current GCD project. However, closing the GCD Project does not close the open ArcMap map document.